Governors Island in New York Harbor offers an excellent site for the formal headquarters of the United Nations Military Staff Committee as well as a secure campus for the first-ever International Military Academy. 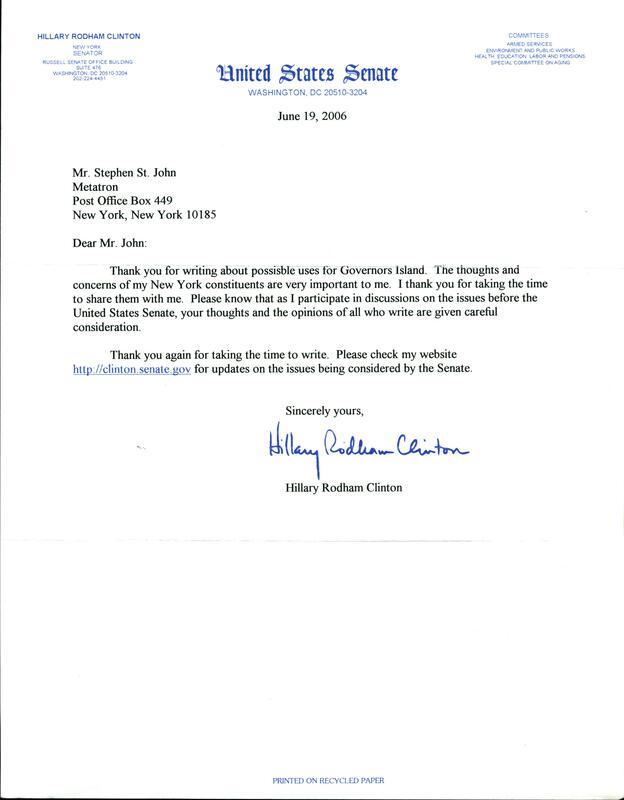 Governors Island has been -- and can continue to be -- a vibrant symbol of the USA's evolutionary growth and remarkable destiny only if pedestrian land use plans now under consideration are rejected in favor of a much better option more in keeping with the rich history and military tradition of this national treasure. This island is where the colonial Dutch governors -- hence its name -- once lived long before there was any lively sentiment among settlers to cut ties with European monarchs. Later, of course, a whole line of English governors took occupancy after a land swap that resulted in the establishment of Dutch Guyana in South America -- now the free and independent state of Suriname. Then came the birth of the United States, when Governors Island attained strategic importance in the defense of New York harbor and, later, in Abraham Lincoln's marshalling of northern forces so as to preserve the Union, a military course of action which paralleled a diplomacy that was a precursor of the principles enumerated in the first chapter of the Charter of the United Nations. And now, a century after the emergence of the USA as a world power, Governors Island is a closed down US Coast Guard installation the final disposition of which should still be open to debate. 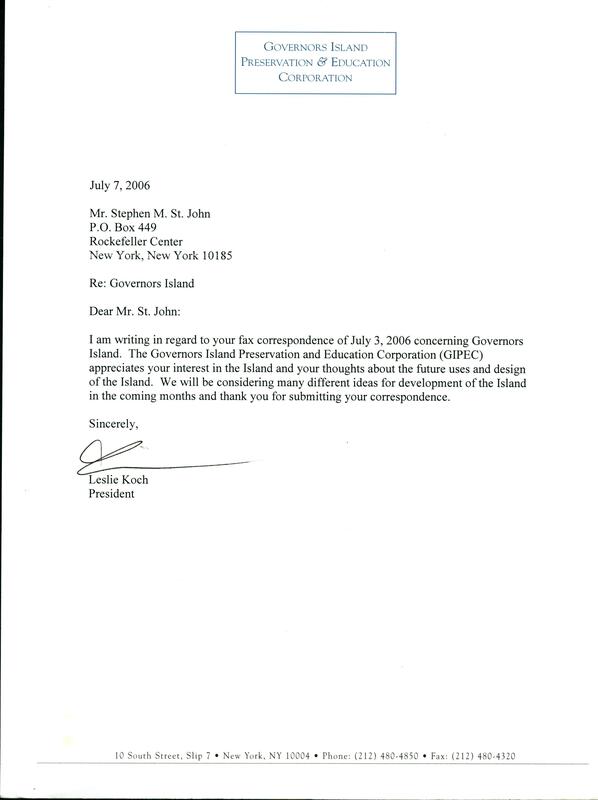 As the USA seeks to preserve its leadership role among the nations of the earth and tries to anticpate the challenges ahead, serious thought should be given to make Governors Island available to the United Nations for dual use as the formal headquarters of the Military Staff Committee and as a campus for an International Military Academy, both of which will be devoted to the study and promulgation of protocols and procedures in support of decisions taken by the Security Council and requiring international enforcement action per Chapter 7 of the Charter of the United Nations. 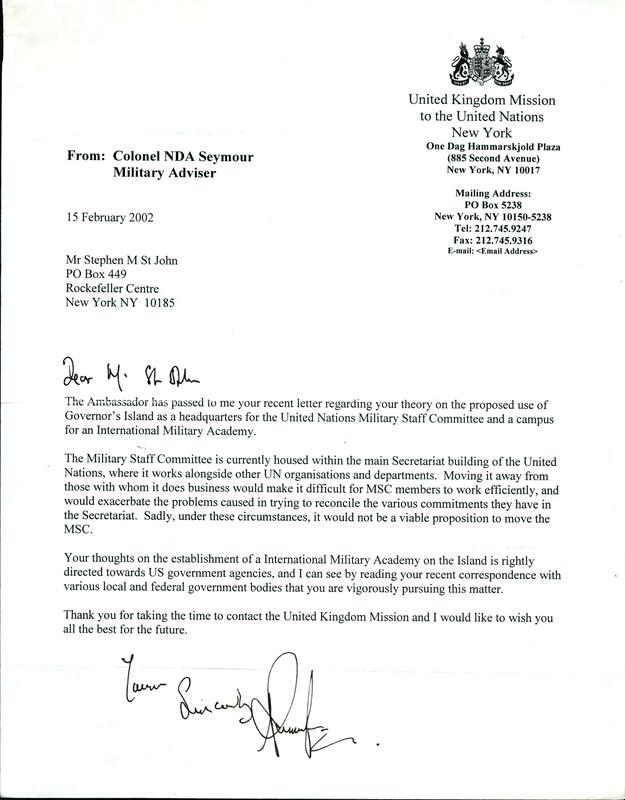 The Military Staff Committee would keep its current offices at the main campus of the United Nations and continue to operate from them. Such an arrangement, which can easily coexist with the Fort Jay and Castle Williams national monuments, will not only be an important demonstration of renewed commitment by the United States to its most important treaty obligation ever undertaken, but also a sorely needed way to formulate and coordinate in a spirit of friendship and community the practice of peacekeeping and to distribute the burdens thereof among all the states members of the United Nations. Governors Island is quite like a university campus on summer vacation. The infrastructure is already there; one just needs to turn on the electricity and water and operations could commence. Clearly, here lies a unique opportunity to leave a lasting legacy consistent with our nation's historic destiny to lead as a sovereign equal among sovereign equals as well as with our constitutionally mandated treaty obligation to support to the best of our ability a necessary institution dedicated to the maintenance and furtherance of world peace and prosperity -- the United Nations.